Love the idea of exploring mountains and valleys on foot, but HATE the thought of carrying a crippling load on your back? Well, we have just the thing for you: slackpacking. What it basically comes down to is enjoying all the benefits of a multi-day hike - exercise, beautiful scenery, fresh air - without the burden of a heavy backpack. Of course it's important to have a few necessities - snacks, basic first aid and water - at hand, but for these purposes a small and light day pack will suffice. So, what happens to all the rest of your stuff? A special porterage service delivers it to your accommodation every evening. While this is the basic premise, it's safe to say that not all slackpacking trails are created equal. While the most luxurious thing about some is the fact that you can enjoy a good bottle of wine - that you didn't carry - around a candle-lit, rustic picnic table at night, others offer luxurious sleeping quarters and catered meals. We take a look at a few of the most popular slackpacking trails currently on offer throughout South Africa. Beginning in Nature’s Valley and ending 60-km further at either the Storms River Bridge or Village, this six day, unidirectional trail takes hikers through the heart of the Tsitsikamma Mountains. Shorter variations (2, 3, 4 or 5 days) are possible as each of the five overnight huts has its own unique access route with safe parking at the start. The scenery is absolutely breathtaking throughout and the hike takes you through a variety of vegetation types - from hardy fynbos to fragrant pine plantations and finally lush indigenous forests that feel steeped in magic. You will spend every evening in extremely rustic wooden cabins in picturesque and pristine locations. There is no power and no hot water... However, you can have a hot shower if you go to the trouble of boiling water over a fire and then decanting it into a bucket, which will serve as a make-shift geyser of sorts, suspended above you. Each hut has flush toilets and a boma area equipped with braai grids, kettles, cast iron pots and a pan for preparing food. Self-catering. Pack your various evenings' meals in a cooler box, marked clearly with which package is for which evening. The food will be stored at the Lottering Forestry station and the porterage staff will deliver the cooler box with the correct package (as well as beverages you supplied - although keep in mind that there is a weight limit) every day. Early July is a surprisingly good time to go, as rainfall is unlikely. While evenings and early mornings can be a bit chilly, days are pleasant - not too hot or too cold. Intermediate - ie. it is advisable that you prepare for the hike by doing a few day walks over uneven terrain. As the name suggests, hikers are accompanied on the trail by donkeys to assist in carrying heavy luggage and equipment on this 26-km journey. The 4-day hike takes you back in history, as you explore the Gamkaskloof using footpaths that residents of the isolated valley used between 1830 and 1962 before road access was granted. Immerse yourself in the Little Karoo culture and scenery. By doing this trail you are also contributing to a donkey rehabilitation program, as all of the animals were rescued from undesirable conditions and are now guaranteed excellent handling and healthcare. Furthermore, guides and handlers are all from the local communities. The first evening is spent at the Living Waters Mountain Estate, the second in a two-man tent that will be set up for you by your guides in the middle of the veld, the third in a cosy cottage in Cape Nature's Swartberg Nature Reserve and the last night back at Living Waters. The hike is fully catered - breakfast, snacks, lunch and supper. The route stretches over 55 km from Potberg to Koppie Alleen in the De Hoop Nature Reserve and includes five overnight stops. Well, if you go at the right time of year you will be treated to incredible whale sightings! This doesn't mean it's not worth going at any other time. No matter when you choose, you will be treated to spectacular scenery, fresh sea breezes and fragrant fynbos. As De Hoop says on their website, roughing it wasn't part of the package when accommodation was planned. Each night will be spent in the comfort of four walls, ranging from quaint Arniston-style beach houses to A-frame thatched cottages. Bedding is provided and each cottage has a fully equipped kitchen as well as both an inside and outside braai area. Self-catering. Similar to the Tstsikamma trail, your meals will be brought on a daily basis in a cooler box you pre-packed. Whales are abundant between June and December, however if you want to catch the most spectacular shows, September is definitely your best bet. The weather should also be relatively mild at this time - neither too hot, but not freezing either. The Silver Sands Trail offers hikers a luxurious journey down one of the most inhospitable and pristine coastlines in the world. Located in the Northern Cape's Namaqualand, the trail is specifically geared at flower appreciation. It covers a distance of 55km, stretched over 5 days. As mentioned above, the trail is only open during the flower season, which means you will be treated to breathtakingly beautiful, colourful landscapes. However, this also means that the competition is tough, so be sure to book well in advance! What makes this trail extra comfortable is the fact that you will be staying in the same place throughout. Base Camp forms the centre of all hikes, with safari vehicles dropping hikers off at starting points up to 16km away or delivering back home after a full day of hiking out. Base Camp takes the form of fully-equipped, semi-luxury tents. Mid-August to end of September, which is really the only time to go. You have to be fit enough not to be daunted by the thought of hiking 3km along the beach. Apart from this it's not too strenuous. Experience the Wild Coast in all its most wild glory by trekking it on foot. Organised by Active Escapes, the Pondo Hopper trail offers hikers a choice between a 3- or a 5-day hike. It starts at Msikaba and finishes at Mbotyi for the 3-night option or Port St Johns for the 5-night option. You will get to see some seriously amazing sites that not many others have laid eyes on. 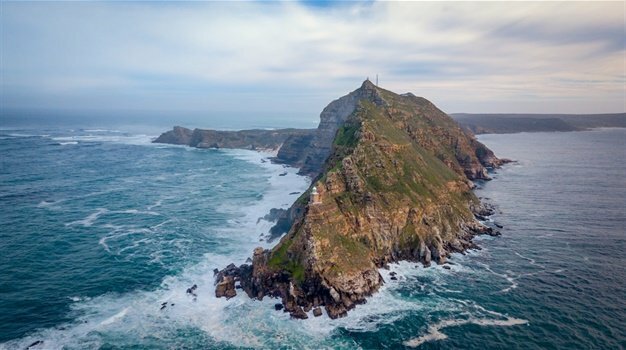 These include the deepest estuary in South Africa at Msikaba, Waterfall Bluff, which plunges 80km directly into the ocean, friendly Pondo villages and sweeping vistas. Every night is spent in twin bedded safari tents on wooden platforms under thatch boma's - with en-suite ablutions & hot water gas shower. Central dining boma where your meals will be prepared and served. During the annual sardine run (June-July), the ocean is a-frenzy with game fish, dolphins, sharks and myriad seabirds. Daily distances are between 10km and 17.5km a day, through a variety of terrain, so an intermediate level of fitness is required. Between R3 830 and R6 530 per person, depending on a variety of options you can choose from. The first ever wilderness trail to be offered in the Kruger Park, Wolhuter allows hikers to get right up close to the wildlife in the company of an experienced guide. The trail is situated roughly between Berg-en-dal rest camp, Ship mountain and Afsaal picnic site. The trail stretches over three nights and two days. Wilderness qualities are high as the trail area is far removed from the boundaries of the Kruger National Park. It's incredibly scenic and also, as mentioned above, allows you to get right up close to all sorts of wildlife - from harmless antelope to intimidating elephants and toothy predators... if you're lucky. The guide accompanying you will also be a constant source of knowledge. The trail starts and ends at a base camp where guests sleep in rustic, but cosy overnight huts. Ablutions facilities consist of flush toilets and gas geyser showers. The trail is fully catered, offering simple yet delicious meals. Hikers must bring their own drinks. During the winter months, as summer months can see temperatures soaring into the mid-40s (degrees Celsius), making walking a strenuous endeavour. Insects, especially mosquitoes, are also less bothersome during this time.